Northern Illinois defensive tackle D.J. 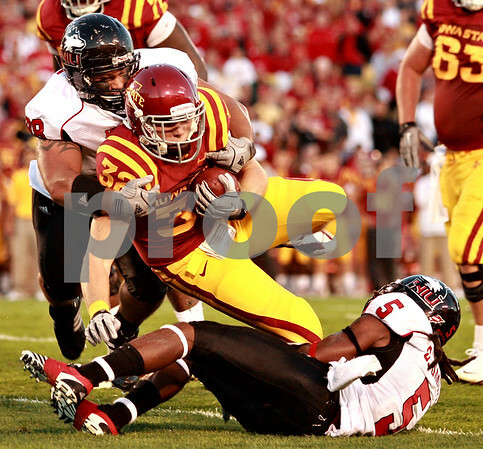 Pirkle (98, top) and defensive back Chris Smith (5, bottom) tackle Iowa State running back Jeff Woody (32) during the first quarter of the game at Jack Trice Stadium on the campus of Iowa State University in Ames, Iowa, on Thursday Sept. 2, 2010. Iowa State defeated Northern Illinois 27 to 10.